1. US Supreme Court nominee Brett Kavanaugh admitted he was “too emotional” while defending himself against sexual misconduct allegations. A key procedural vote is scheduled for Friday morning, with a final confirmation vote expected on Saturday. 2. Amazon and Apple were reportedly targeted by Chinese spies attempting to plant tiny microchips in the data centres at both companies. They strongly rejected the findings. 3. The White House warned China it would “not stand down” after their latest clash with the US Navy in the South China Sea. A Chinese ship challenged a US destroyer earlier this week. 4. China unveiled a new millennial-themed quiz show devoted to leader Xi Jinping. The propaganda TV show was launched on one of the country’s most popular entertainment channels and asks questions about Xi Jinping’s life and teachings. 5. Philippine President Rodrigo Duterte gave remarks that are raising questions about his health. Without explicitly saying he may have cancer, Duterte said he would not stay in office if that’s the diagnosis. 6. India has begun deporting Rohingya Muslims to Myanmar after they fled persecution. Police said seven people were arrested in 2012 for entering India illegally, and will likely be handed over to Myanmar border guards. 7.Telsa CEO Elon Musk mocked the SEC on Twitter after he was forced to pay $US20 million in fines to the agency. The SEC sued Musk last Thursday over tweets he wrote about taking Tesla private. 8. South Korea has jailed its former president Lee Myung-bak for corruption. Lee, who was in office from 2008 to 2013, is the fourth former South Korean president to be jailed. 9. 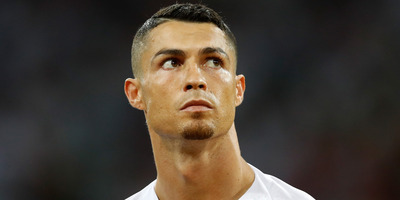 Nike says it is “deeply concerned” by claims that footballer Cristiano Ronaldo raped then paid off his accuser.Kathryn Mayorga alleges that she received a payment of $US375,000 in 2010 after being pressured by people close to the soccer star to keep quiet. 10. An 8-year-old Swedish girl plucked a 1,000-year-old sword from a lake like it was no big deal. Some people think this means she could be a queen.